If you're looking to become an auctioneer by attending one of the premier auction schools in the United States, The Ohio Auction School can equip you with the skills you need to succeed. We are an approved school for many states that require auctioneers to be licensed. Further, our instructors have real world experience and all are still in the field practicing what they teach. Our goal is to exceed your expectations. You'll learn not only bid calling techniques, but also the business of auctioneering and you'll graduate with the tools necessary to start your own auction career. The Ohio Auction School was opened in 1999 responding to numerous clients and customers of Mike Brandly, Auctioneer for such an institution. 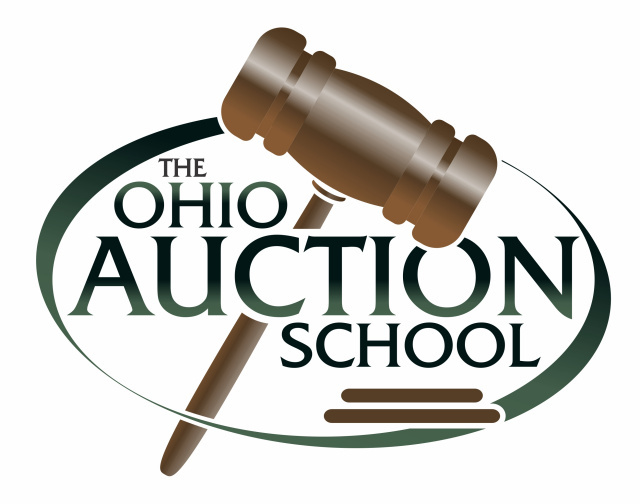 The Ohio Auction School provides not only auctioneer training, but seminars for auction buyers and sellers, product specific conferences, and auctioneer staff training for clerks, cashiers, ringmen and the like. Students of The Ohio Auction School are taught by auctioneers and auction staff with experiences in the auction profession beginning in the 1950's. Our staff's experience ranges from various estate and personal property auctions, weekly automobile auctions to leading the largest Central Ohio real estate auction company's practices. As well, instructors have experience selling livestock throughout the Midwest including many Jr. Fair auctions. The Ohio Auction School is approved for Ohio auctioneer pre-licensing, Louisiana auctioneer pre-licensing & CE, Kentucky auctioneer CE, West Virginia auctioneer pre-licensing and CE, Virginia auctioneer pre-licensing, Texas auctioneer pre-licensing, Michigan auctioneer pre-licensing, Vermont auctioneer pre-licensing, Mississippi auctioneer pre-licensing, New Hampshire auctioneer pre-licensing, Rhode Island auctioneer pre-licensing, North Carolina auctioneer pre-licensing, as well as other states' programs. Additionally, if you live, or wish to practice, in the following states, The Ohio Auction School provides complete pre-licensing auctioneer education: Alaska, Arizona, Arkansas, California, Colorado, Connecticut, Delaware, District of Columbia, Hawaii, Idaho, Illinois, Iowa, Kansas, Kentucky, Maine, Maryland, Massachusetts, Minnesota, Missouri, Montana, Nebraska, Nevada, New Jersey, New Mexico, New York, Oklahoma, Oregon, Pennsylvania, South Dakota, Utah, Washington, Wisconsin and Wyoming. What does a student of The Ohio Auction School learn? Not just to be an auctioneer, or a better auction clerk, or how to buy successfully at auction, but how honorable, credible and rewarding the auction profession can be. "That's what they're saying!"